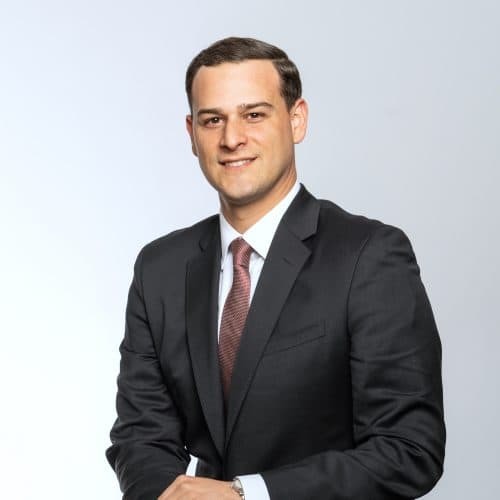 David Curcio is an accredited real estate professional with more than 13 years of comprehensive multifamily experience throughout New Jersey, New York, and Connecticut. His current portfolio consists of over 8,000 units and 200,000 square feet of retail across New York and New Jersey. Prior to his promotion to Senior Vice President in 2018, David was a Regional Vice President within Bozzuto’s Tri-State portfolio. During his tenure with the company, David has worked closely with owners and their representatives to maximize the value of their assets, with an emphasis on promoting long-term financial growth for the portfolio. David has operational expertise in capital investment, value-add strategies, and value execution, and has led operational teams on multiple new developments through stabilization. David has experience with public and private investors for both individual owners and third-party managers. Prior to joining Bozzuto Management Company, David held a range of positions at several leading multi-family REITs including AvalonBay Communities, UDR Inc. and Equity Residential. He received a Bachelor of Science in Apparel, Housing and Resource Management from Virginia Polytechnic Institute and State University. Active in the real estate industry, David is a member of Institute of Real Estate Management (IREM), National Apartment Association (NAA), New Jersey Apartment Association (NJAA) and is an IREM Certified Property Manager Candidate (CPM®) and NAA Certified Apartment Manager (CAM®).